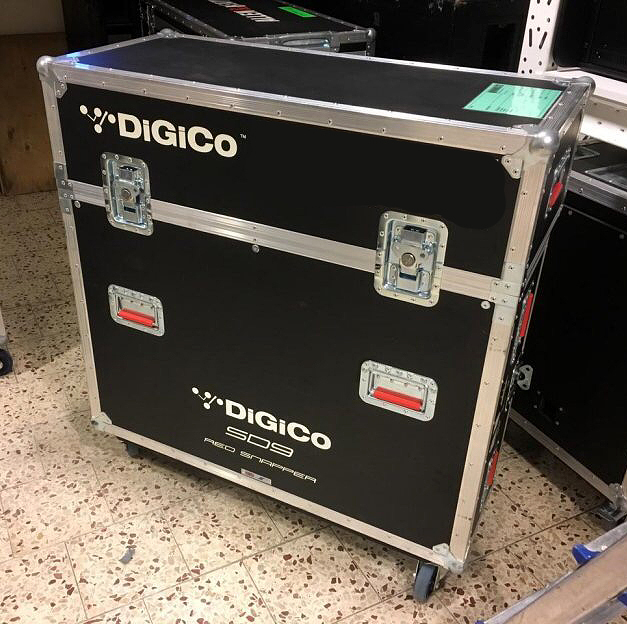 DiGiCo SD9 core2 mixer in original flight case. 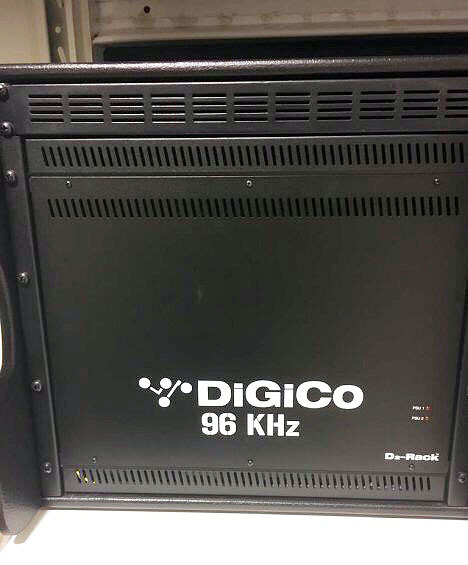 D2-rack 96kHz stagebox 48 in/32 out. 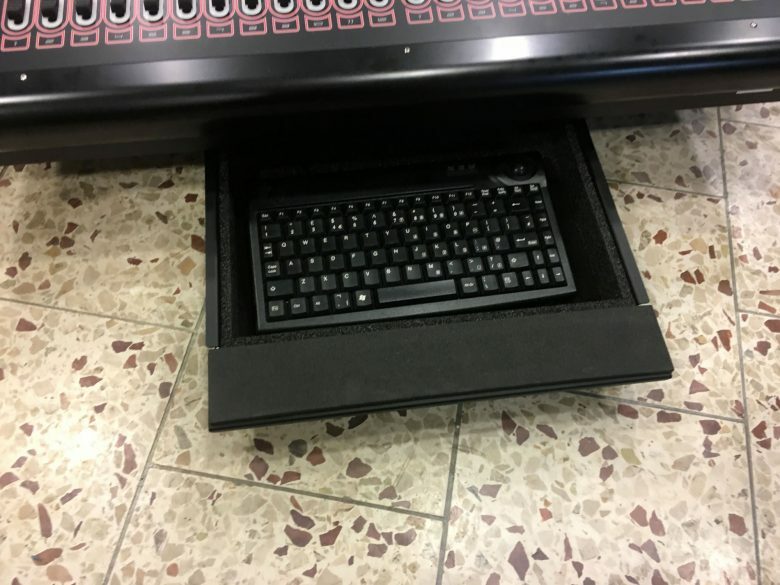 Little Red Box Madi Converter. 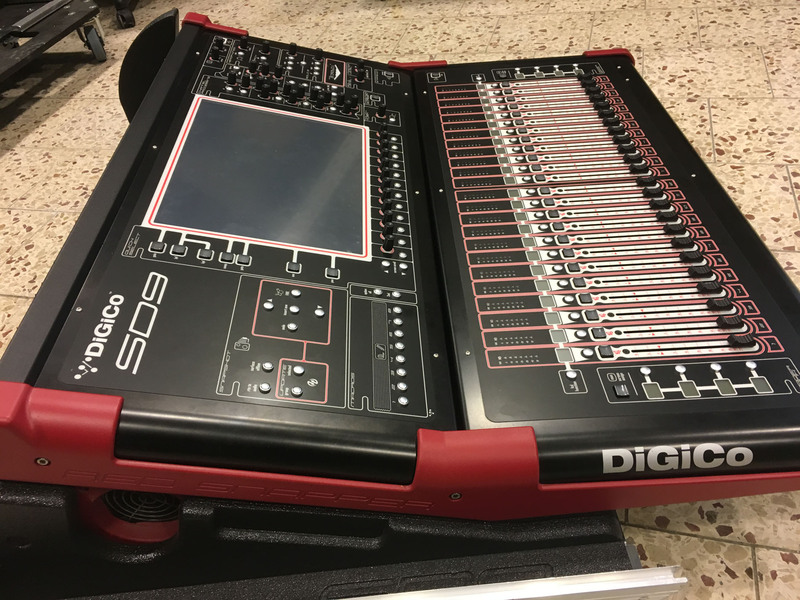 The SD9 is a super-flexible, complete integrated system powered by Stealth Digital Processing and floating point Super FPGA technology. This lightweight, small-footprint console was designed with multiple applications in mind therefore is equally suited to life on the road or as part of any fixed installation, be it a theatre, conference centre, house of worship or school. The SD9 provides outstanding performance at a very competitive price point. 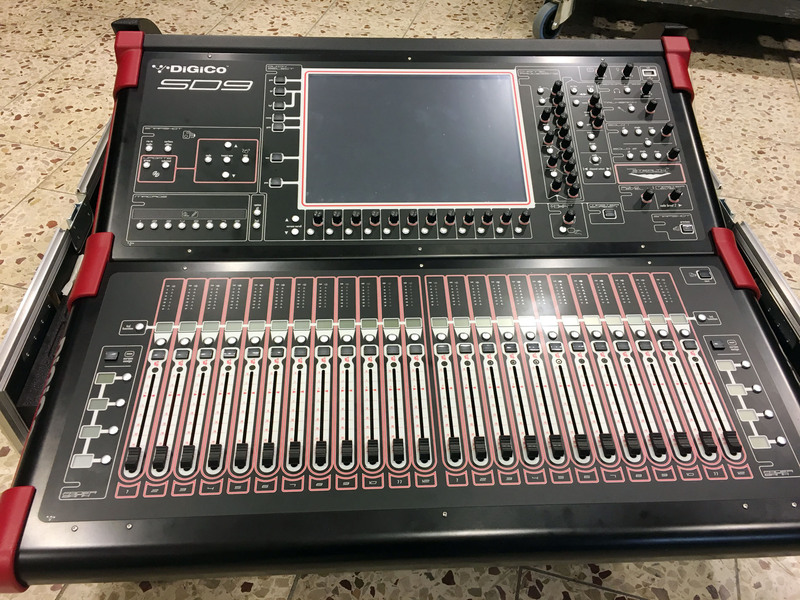 The SD9 features 24 touch-sensitive motorised faders and benefits from quick access function buttons for faster response times. 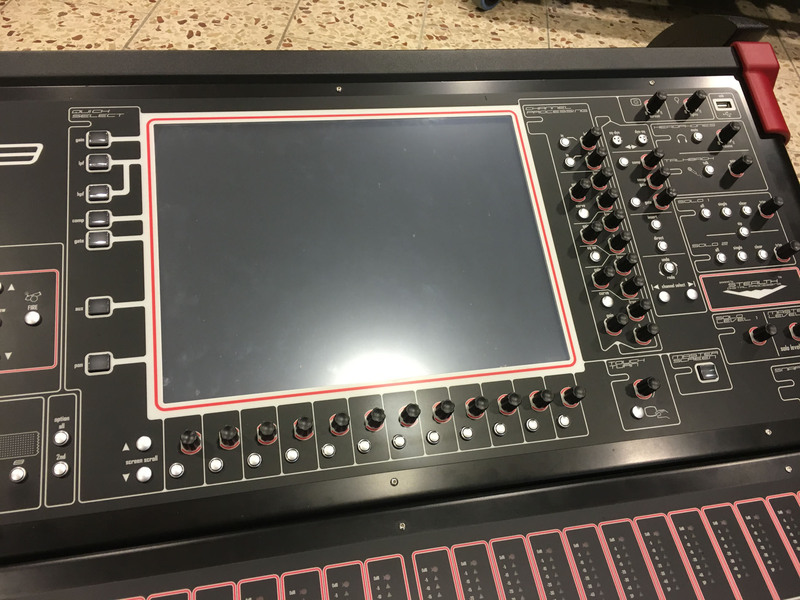 At the heart of the console’s worksurface is a 15-inch, high resolution TFT LCD touch screen with backlit display. 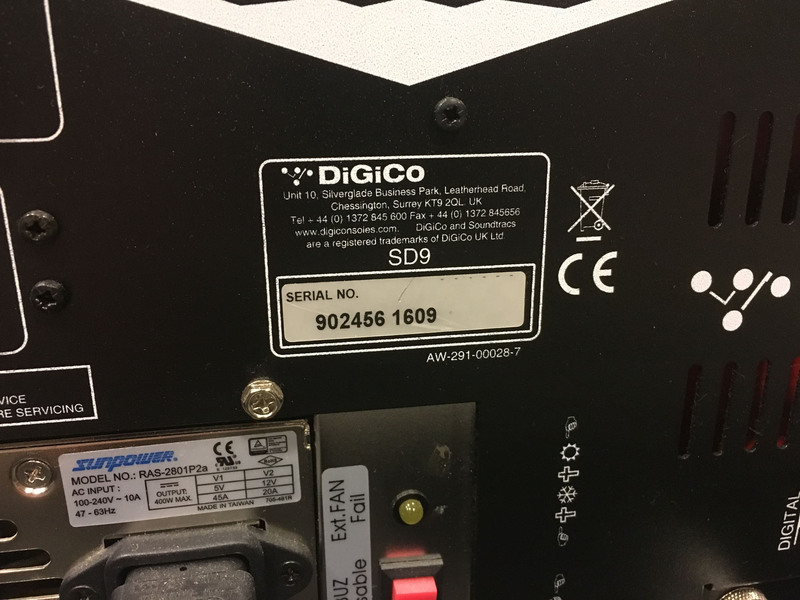 In addition, the SD9 benefits from dedicated multi-function control knobs and electronic labelling. The SD9 boasts 96 Channels at 48kHz/96kHz. Standard channel processing, whether inputs or outputs, includes Channel Delay, Single and Multi Channel Presets, Dual insert points, Hi- and Lo-pass filters @ 24dB/octave, four-band parametric EQ with band curve selection, Dual insert points, DiGiCo’s DYN 1 (Compressor, De-esser or Multi Channel Compressor) and DYN 2 (Gate, Compressor or Ducker). The console also benefits from 155 Dynamic EQ processors, all of which can be assigned to any of the input or output channels. 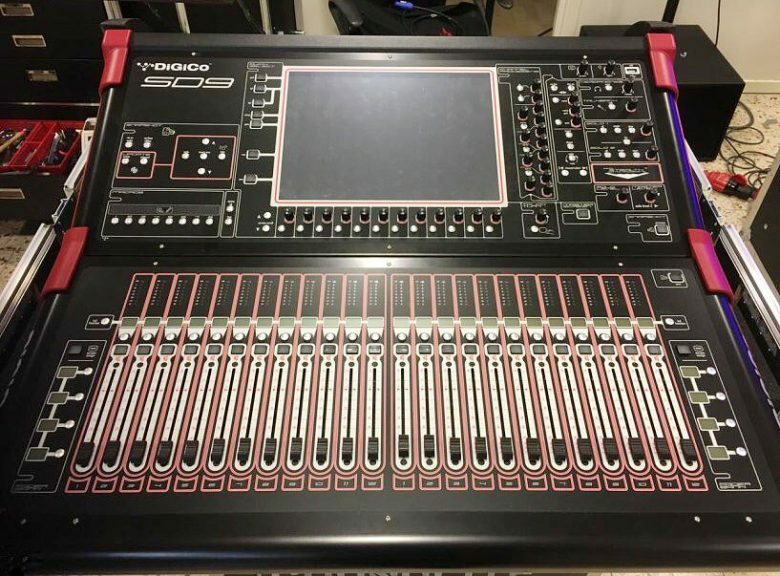 These powerful processors offer Dynamic processing on each of the four standard parametric bands, plus there are also 155 Multiband Compressors and 155 DiGiTubes; and no matter how the console is set up, the user won’t lose any resources, as all channels are equipped to provide the same high quality signal path and feature set. The master section incorporates 16 gangable 32-band graphic EQs, 12 stereo effects (selectable from a palette of 33), and 12 control groups (VCAs); and using snapshots, engineers can now switch between complete configurations in any live environment easier than ever before, be it at rehearsals, during system setup, or even at a show. We’ve also included 48 busses, all of which are assignable as groups or auxiliary busses; and in addition to these busses, for further configurability, we’ve provided a 12 x 8 output matrix, dual solo busses, and a Master buss. 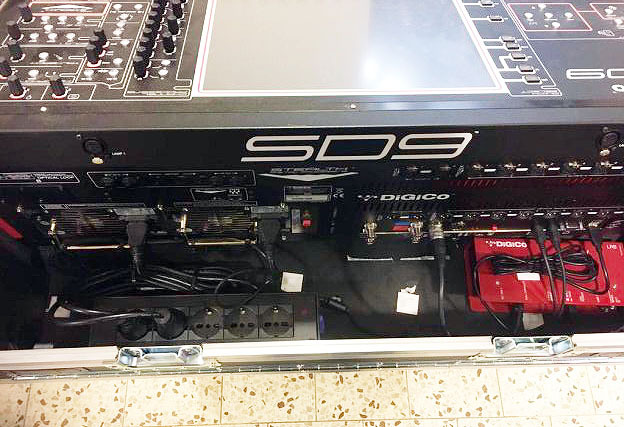 The SD9 has a vast Local I/O section including eight mic inputs, eight line outs, four mono AES/EBU, one MADI port, and two dedicated D-Rack Ports. 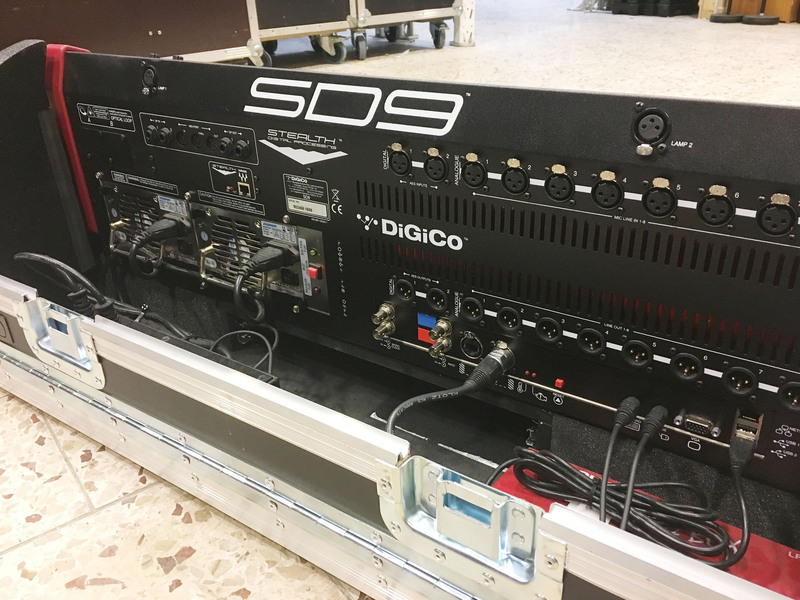 The D-Rack is a 32-input, eight-output remote I/O rack which comes as standard with the SD9 with the option to increase to 16 outputs if desired. 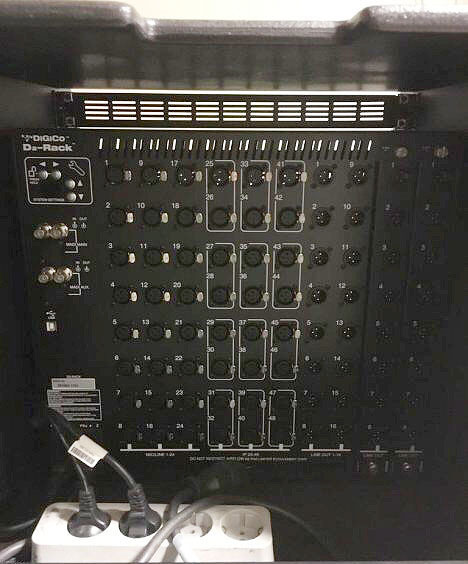 Users can also connect a second D-Rack (as with the Rack Pack combination) which will provide a total of 72 mic inputs. 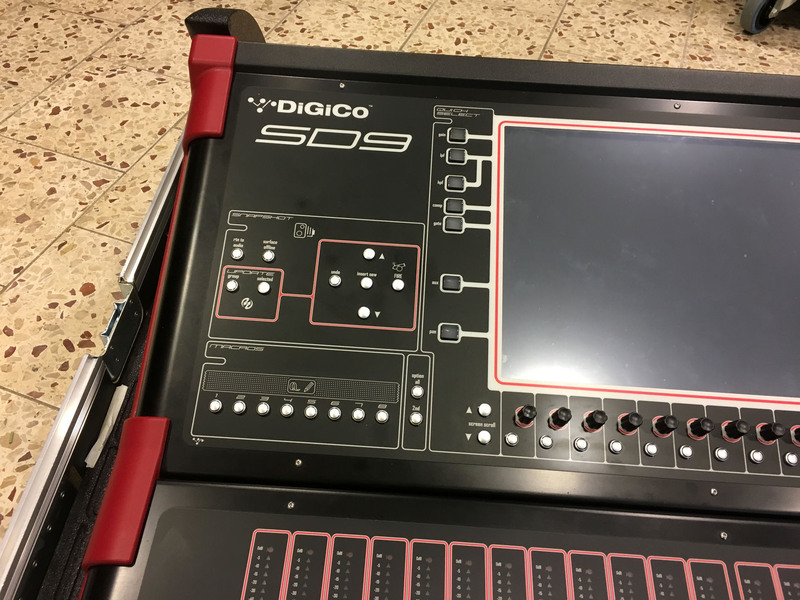 In addition, there is an optional DiGiCo SoundGrid module which, when linked to an external PC server such as SoundGrid or DiGiGrid. This provides the user with instant access to 32 fully integrated low-latency Waves stereo Multi Racks, each with the ability to have up to eight plugins per rack. That’s 128 I/O – and as you’d expect from DiGiCo, this is all additional I/O.